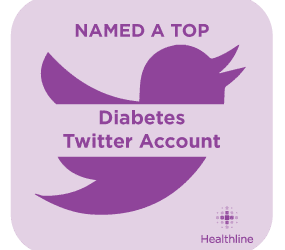 We are pleased to report that the editors of Healthline.com have selected Diabetes Self-Management‘s Twitter handle, @ManageDiabetes, as one of the best Twitter handles of 2015! You can see a slideshow of all the Twitter accounts that received this recognition here. We are pleased to have received this honor and hope that you will join the diabetes conversation by becoming one of our followers on Twitter!